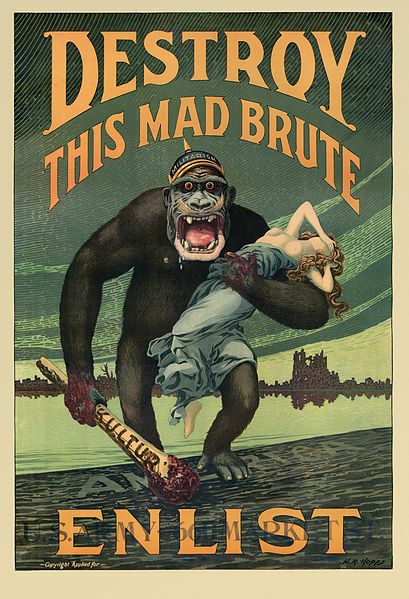 WWI was famous for its propaganda posters. In fact, WWI is the reason the word “propaganda” is now a dirty word. At the start of the war it wasn’t, but as governments lied, withheld information, and manipulated the public, propaganda gained the negative connotation that it has today. Here are two posters from WWI; one American, one British. What message is the poster trying to get across? How does the poster express that message? What emotions does the poster try to stimulate? Destroy this mad brute- Enlist – U.S. Army. By Harry R. Hopps, (1869-1937). 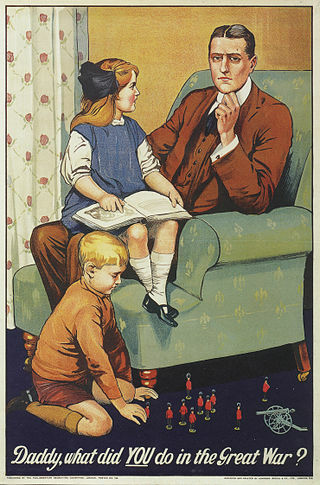 Daddy, what did YOU do in the Great War? from the Parliamentary Recruiting Committee, 1915.